1. LiLash- super long, thicker and darker lashes.....need I say more !!! 2. LiLash and Blinc- The Dynamic Duo !!! 3. His and Hers Babyfoot Peel- Time to shed your feet's Summer Fun !!! 4. 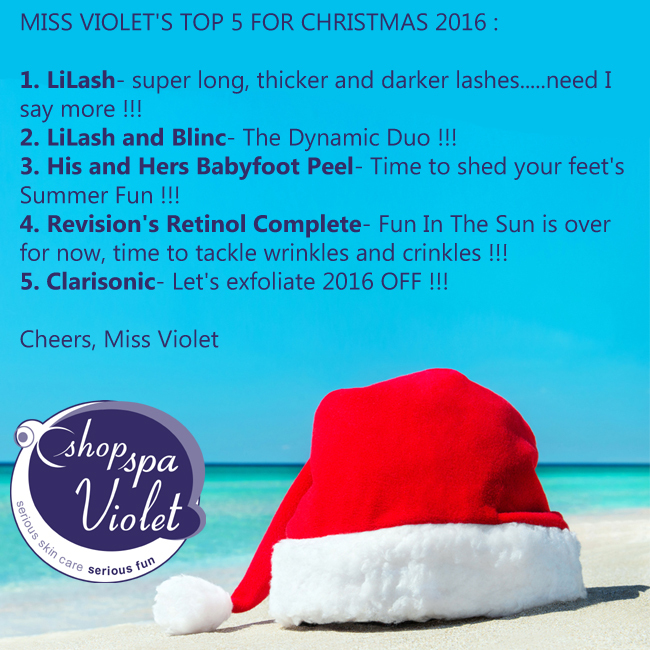 Revision's Retinol Complete- Fun In The Sun is over for now, time to tackle wrinkles and crinkles !!! 5. 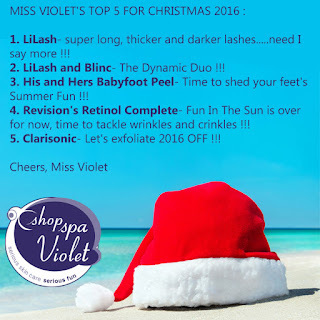 Clarisonic- Let's exfoliate 2016 OFF !! !